Hi guys! I am going to jump right into today’s post, because it is Friday and we all have things to do. We are important people! I recently celebrated this blog turning 2, which means I am in the terrible twos phase. Meaning tantrums, gaining independence and potty training. In blogging terms two years to me means mostly growing pains. I am expanding, shifting, and putting my plans into action. With that, there is always some new and old ideas either being added or thrown out. I make no secret of my having amazing blogging friends. Some days those ladies are the reason this is still going, because of support, legit traffic, collaborations, and someone to talk to. The blogging community as a whole has been a dream for me, I want to support those who have supported me. I figured out a way to do this while entertaining you all, of course I did not forget about your lovelies! 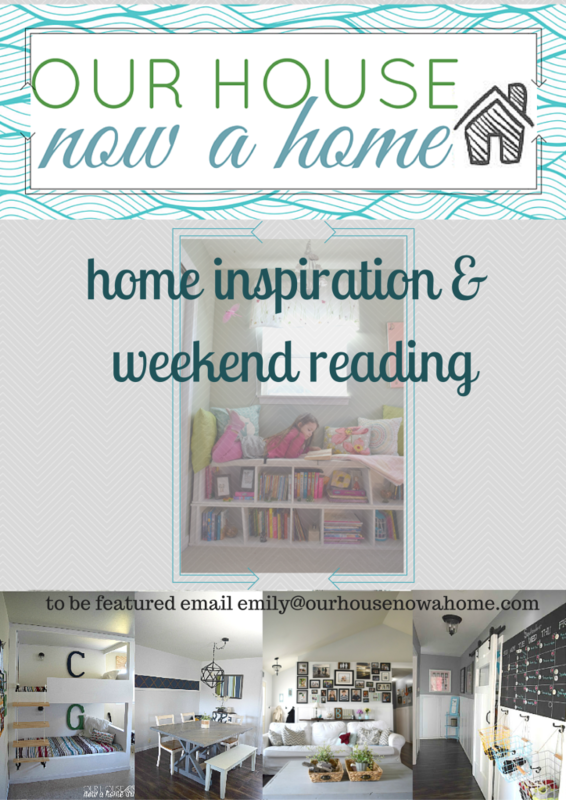 Today marks a new series around here, Home inspiration and weekend reading week 1. I am not sure how long I will go with this, it could be for all eternity or a few weeks. It is all dependent on if you guys like it. I know that on the weekends I get a little bit more freedom. Usually in the evenings, the house is quiet and that is when I get my “me” time. I like to unwind by catching up on some of my favorite home decor blogs. I don’t get to read too much during the week because I am busy running my tiny corner of the internet, but come Friday night it is on! I snuggle up on the sofa with my tablet, computer, phone, (how many devices do we all have? ), Dale is next to me reading his own “guy” stuff online. I just realized that insinuates it is tawdry sites he is on, I will reassure you it is not, he reads about tech stuff and cars. I like homes and decor, he likes programming and cars. Just how we roll. We are both reading, while HGTV or the DIY network is on in the background and we mindlessly talk to each other… because… couple time. This is multi tasking and marriage as it’s best my friends! The plan for this series is for me to share a few home decor inspirations with you all, for your own quiet (non scandalous) weekend reading. 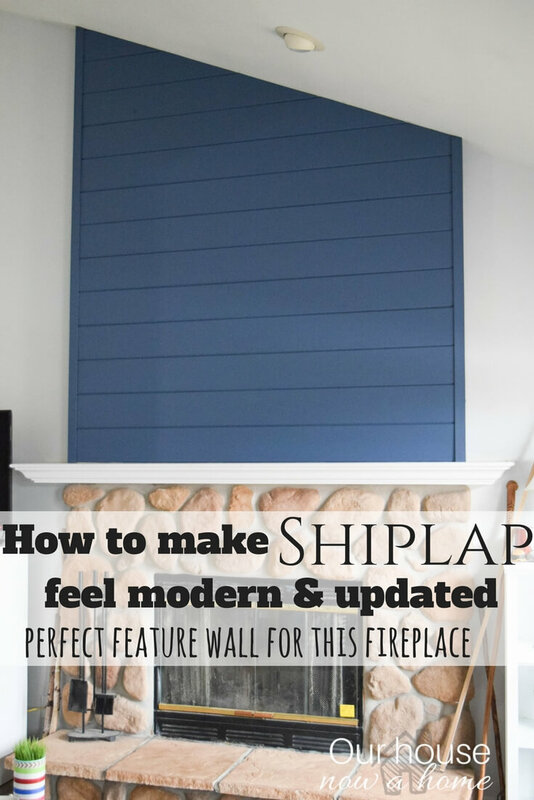 I am going to share one or two of my older posts and a few that I found inspiring from other home decor bloggers. I am doing the work for you, all you have to do is relax and click on the links. Unless you are like me and once you see some awesome home decorating you have to jump up and start creating. Either way, I hope you enjoy this! 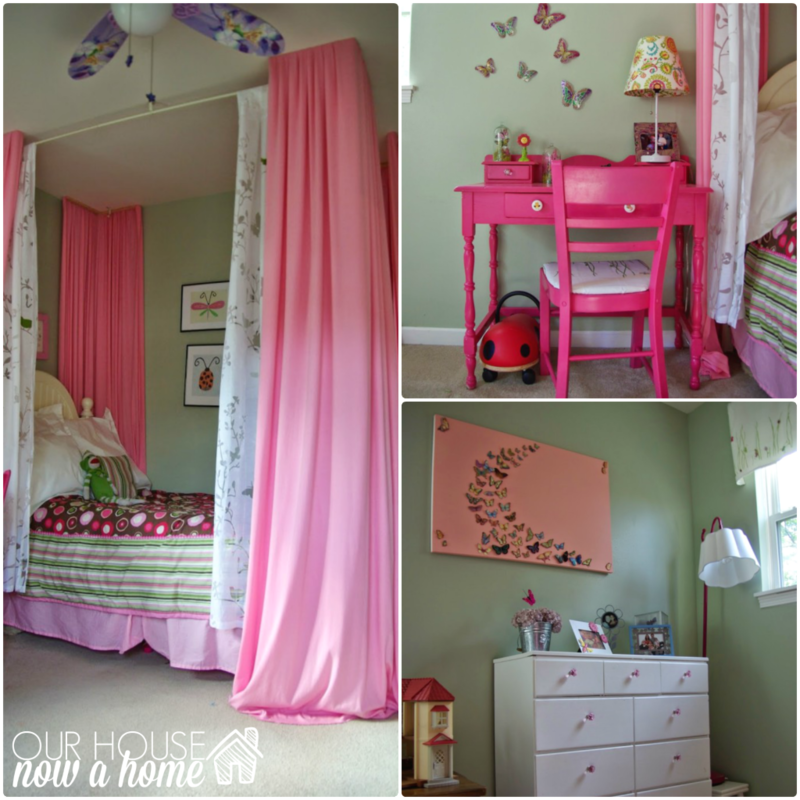 For my first “old school” post I am bringing something from wayyyy back, back to June 2014 when I revealed Nora’s bedroom. In the above picture you can see how it looks. I have left it mainly as is, except for a reading nook and new table. She has also requested a gallery wall with more personalized art. We are working on it right now. My biggest struggle is that she is one bossy decorator and has very particular ideas. The issue is she does not know what she wants, just what she does not want. Fun Mother/Daughter bonding going on. I adore visiting Canary Street crafts for all things furniture! The blog is run by Amy and Vicki, who are a Mother and daughter duo with mad furniture redo skills. 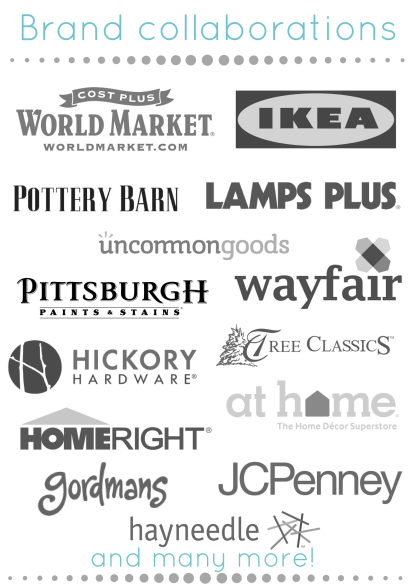 I found them when I saw furniture redo after stunning furniture redo on Pinterest and I had to follow along with them! This week they broke down how to adhere burlap for furniture. I love the process, the explanation and mostly the furniture. Seriously, prepare to get lost in a haze of dreamy furniture! If you are into home decor of any kind (which you are because you are her) Sara from Twelve on Main has you covered. Her home is stunning and feel so warm. She has a rustic and farmhouse style but it feels very modern and fresh. 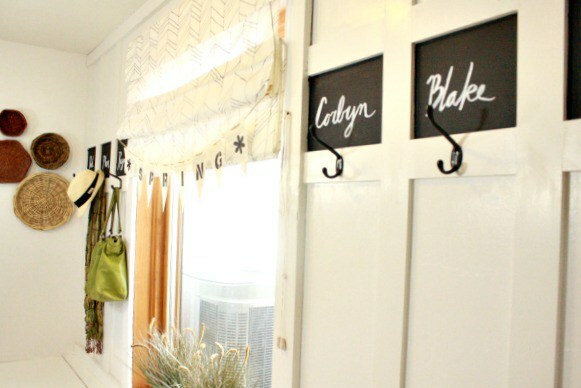 She shared her spring mudroom and there are so many tiny details put into this usually overlooked space. Granted if I had a mudroom like this I am certain I would be having this be where we entertain people. Pass the drinks around and set hor devours on the mudroom bench. 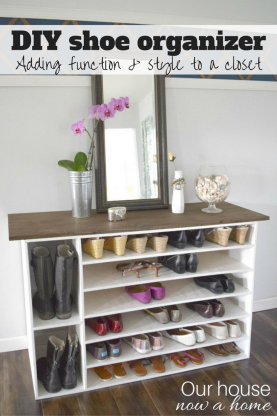 It is too pretty to just be a mudroom! I think we all know by now that I am dreaming of spring, Chanell at Hobnail house is feeding my spring needs beautifully. 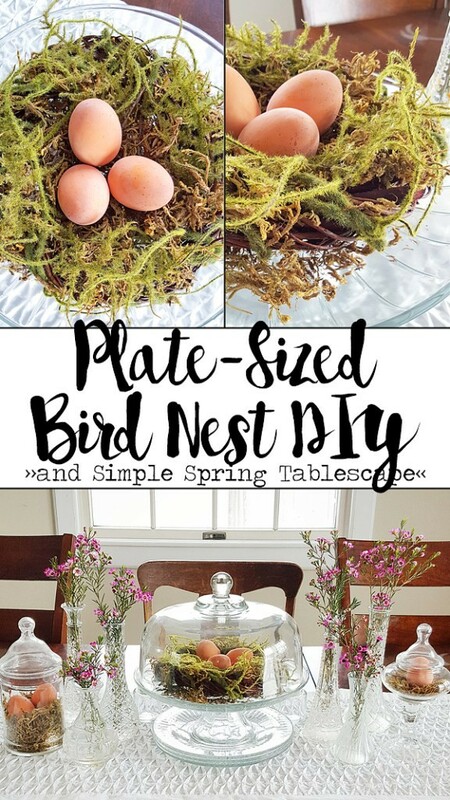 She hared this spring tablescape and a simple DIY bird nest. 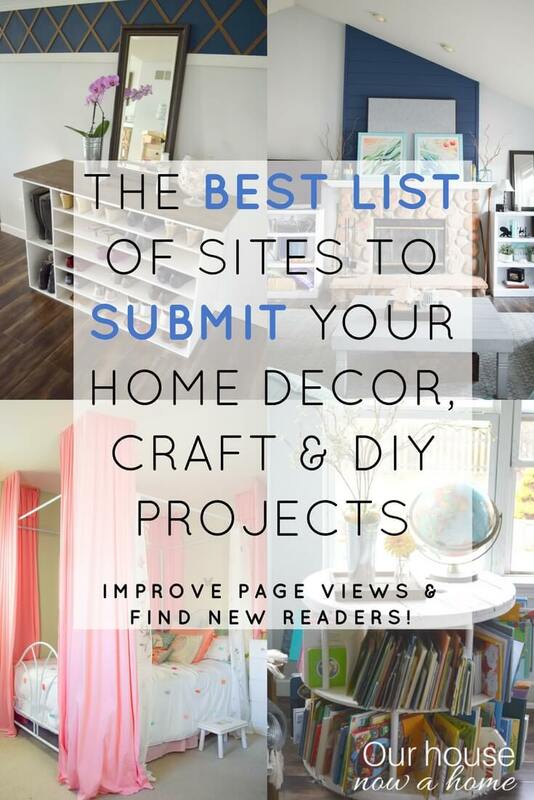 I love going to read here because she shares such great projects, has gorgeous pictures, and is one of the nicest bloggers I have ever “met” before. She manages to run a blog, keep her home looking beautiful and raise 5 kids! Yes, five kids! I think anytime I claim my three are out of control I should give Chanell a call and she can laugh me out of my pity party. Erin who blogs at Elizabeth Joan designs has such a clean, fresh and bright style. I adore her home and ideas. She is in the middle of redoing her kids bedroom. She is creating a space that works for a boy and girl, it is coming along beautifully and I am excited to see how it all works out. 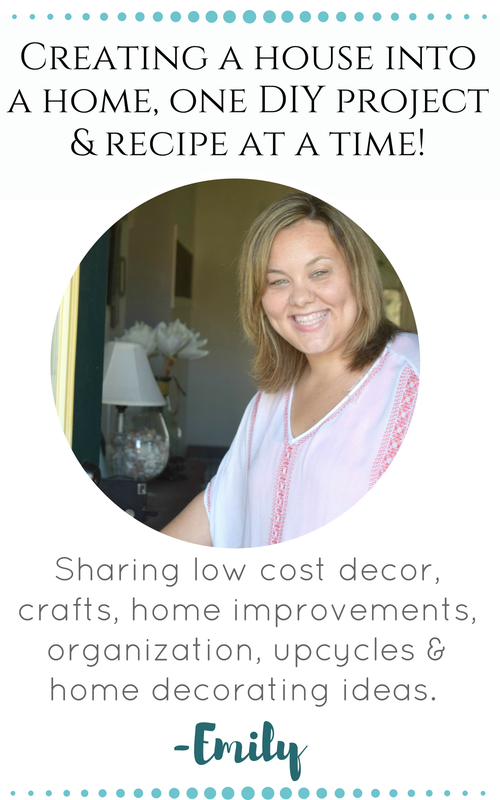 I love going to her blog because she shares a little bit of everything, huge room redos, furniture upcycles, simple crafts. It is all there and I never get bored seeing what she shares. I am sure you will go down a rabbit hole of home decor and inspiration as you peruse these blogs. If you want to Pin any of the images from them, please go to the original blog and Pin from there that way these ladies get the due credit for it. 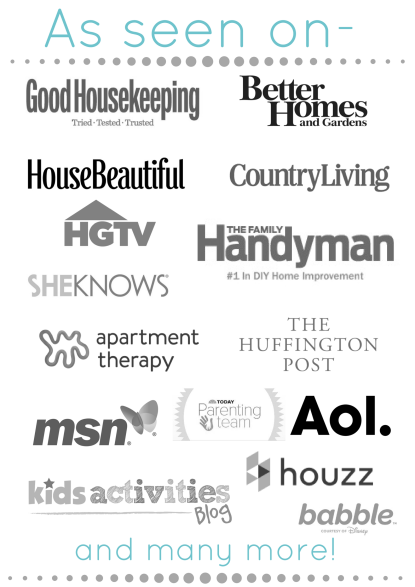 Speaking of Pinning, I created a Pinterest board, home inspiration & weekend reading. You can follow the board and see these talented blogs, I will update the board each time I featured more people. I hope you like the idea of this Home inspiration and weekend reading week 1, I know I will because now I have an even better excuse to read more blogs, I have to for “research” purposes to see who will be featured next week. It is a tough task but I am up for the challenge! Thank you to the talented ladies who let me feature their posts in this jump-off post, luckily I some legit blogging friends who are willing to share their work with me. Let me know what you think of this new series. 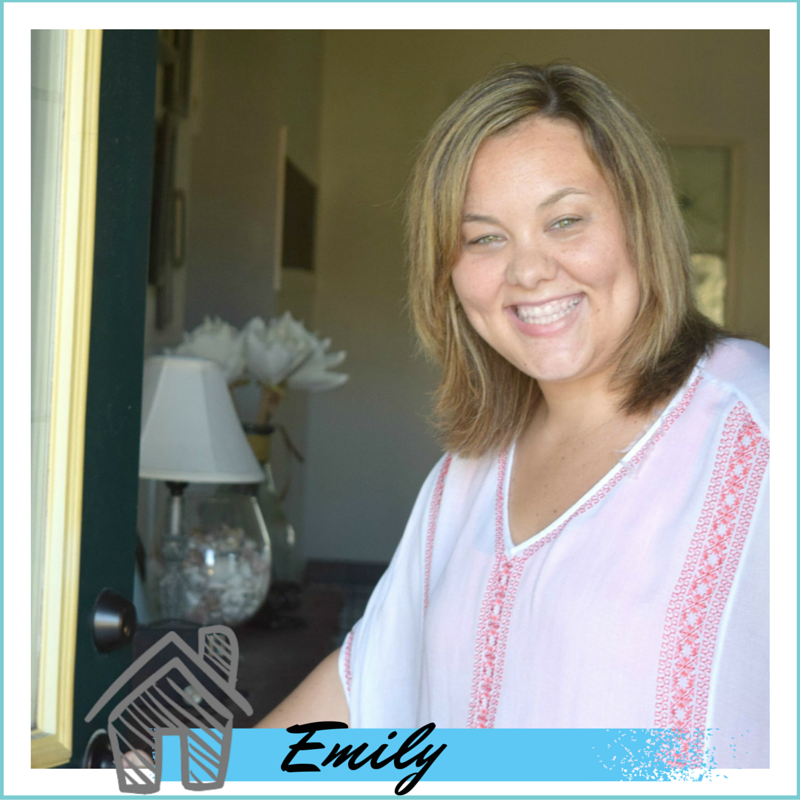 If you want your blog or a post to be featured you can email me at emily@ourhousenowahome.com. Email me your link and an image so I can see what you and your blog are all about! I like this idea and have some reading to do now. Thanks for the links! I am so happy you like this new series! Fun decor ideas! I especially like the burlap dresser. 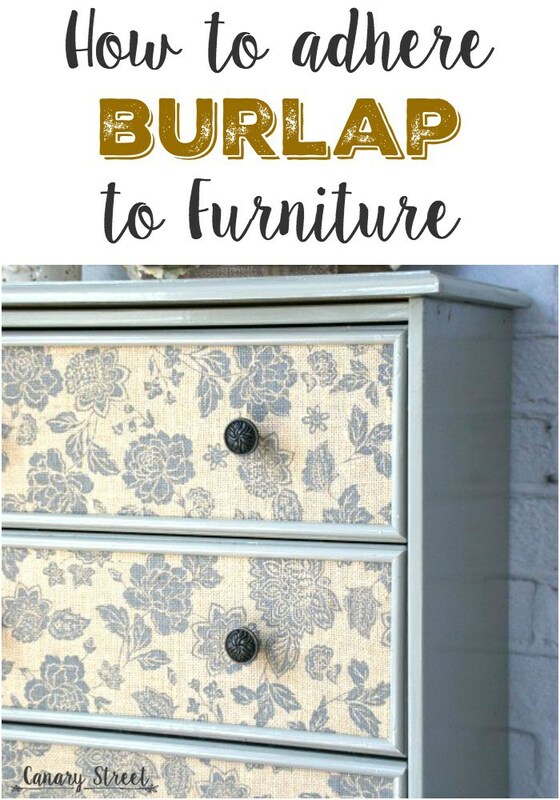 That burlap dresser is so dreamy! Oh, Emily, you are so sweet! 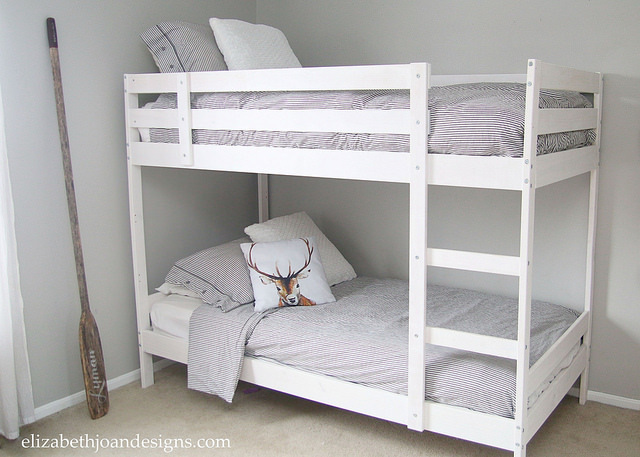 Thank you so much for sharing my Kids’ bedroom! What a great idea to set up a weekly post like this too! Thanks for letting me share it Erin! I am excited to see the finished room! Aww, thanks for sharing my bird nest and for the sweet words! You’re wonderful! You do, of course, have an entirely wrong idea of how clean my house is! Haha! The struggle is real! I loved your tablescape and birds nest, thanks for letting me share it! I love ideas of home design and yours is just marvelous!